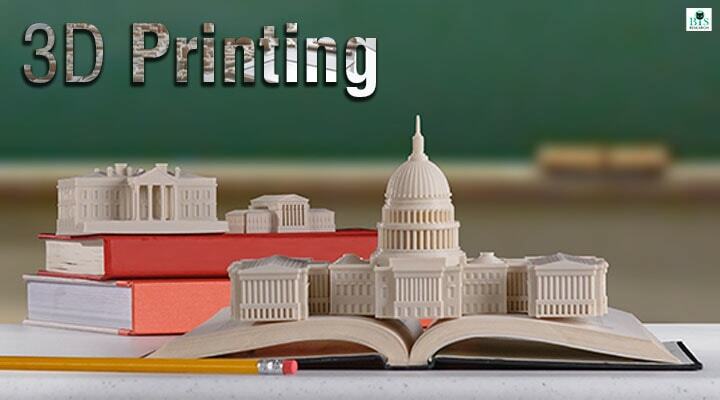 BIS Research actively engages in producing comprehensive reports on various research fields revolving around 3D Printing, mainly comprising: Additive Manufacturing research, 3D printing Material Market, Metal Market, and Powder Market analyses. The reports present various kinds of detailed insights on each of the following components, as compiled by the team of analysts at BIS Research. The increased usage of 3D printing, or Additive Manufacturing, in various industries such as aerospace, automotive, medical and healthcare sectors has proven to be a boon towards achieving a positive growth trajectory in the market. In terms of value, the global computer-aided design market is expected to grow at a CAGR of 6.35% during the forecast period 2018-2028. In 2017, the global 3D printing market for automotive and aerospace industry in terms of value was valued at $3.07 billion, which is expected to reach $9.36 billion by 2023 with a Compound Annual Growth Rate (CAGR) of 17.86% during the forecast period 2018-2023. The global 3D printing plastics market is expected to grow at a CAGR of 20.5% and 21.9% between 2018 and 2023 in terms of value and volume, respectively. The global 3D printing software and services market is estimated to register a CAGR of 25.2% between 2017 and 2021. This growth in the market is attributed to the increasing demand from various end use application verticals such as healthcare industry, consumer industry, automotive industry, fashion & aesthetics industry, aerospace & defense industry, education industry and architecture industry, among others. The global 3D printing plastic and photopolymer materials market is estimated to reach $1865.4 million by 2023. This is driven by a number of factors such as their cost effectiveness as compared to metals, reliable properties, government initiatives and rising investments for R&D, advancement in technologies and product development, ease of availability of materials, accurate printing speeds, lower labor costs and high demand in the end-use industry. The proliferation of 3D printing technology at an industrial level can be attributed to the growing advancement in the arena of metal 3D printing. The process of metal 3D printing is now paving its way into the mainstream manufacturing industry. Owing to the gradual developments occurring in the field of technology as a whole, metal 3D printing is now proving to be an indispensable part of the manufacturing sector.